The U.S. Youth Soccer Olympic Development Program (ODP) is a national identification and development program for high-level players. The program identifies and develops youth players throughout the country, to represent their state association (ENYYSA), region (Region I) and the United States in soccer competitions. 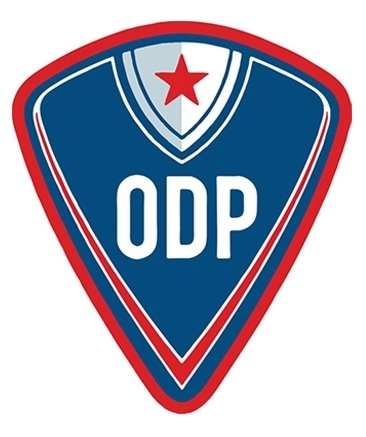 ODP Teams are formed at the state association and regional level, made up of the best players in various age groups. All players are eligible to attend tryouts. Any player who is not playing for a team affiliated with ENYYSA will pay a higher tryout and registration fee. Players may only participate in the state where they reside. If you play for a U.S. Soccer Development Academy you are not eligible, as per their guidelines. ODP training takes precedence over "affiliated" club practice. "affiliated" Club games take precedence over ODP training. ODP game(s) take precedence over "affiliated" club practice. A club game takes precedence over an ODP friendly game. ODP Tournament (showcase) game(s) take precedence over "affiliated" club games and tournaments. Region I games / events take precedence over ODP and "affiliated" club games/events. Opportunity to play with the best players. Exposure to Regional and National Coaches. The opportunity to represents one's sate, region or country in competition.